2015 Tomato Tasting – Tomato Town organically grows heirloom tomatoes in the greater Kansas City area as well as Johnson County, Leawood, Lenexa, Olathe, Shawnee, Merriam KS, Independence MO and Kansas City Missouri, KCMO. Varieties include: Cherokee Purple, Brandywine, Stupice, Carbon, Black Krim, Black Cherry, Yellow Pear, Absinthe and Aunt Ruby’s German Green. 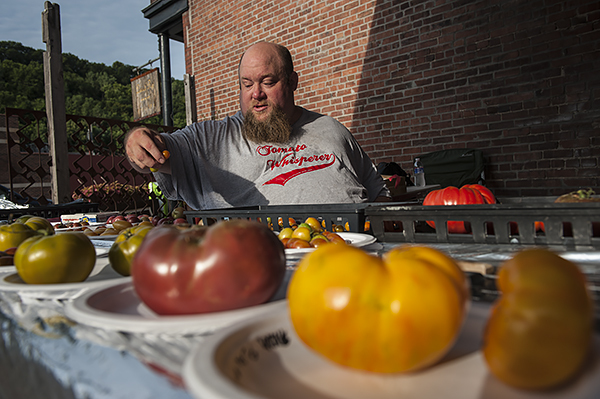 In its seventh year, The KC Tomato Times festival of the heirloom tomato is still going strong. Despite a slow growing season marked by a cool and wet spring, James Worley still managed to round up 48 varieties of tomatoes for garden enthusiasts and passersby to taste and celebrate. James has posted the final results of this years tasty winners. Brad’s Black Heart won by a single vote, with Carbon and Kiss the Sky tying for second place. Tomato guru James Worley organizes the varieties before the crowds arrive. The weather was hot and steamy, but a steady stream of tomato pilgrims flowed to The Local Pig to taste the varieties that managed to ripen in time for the annual ritual. 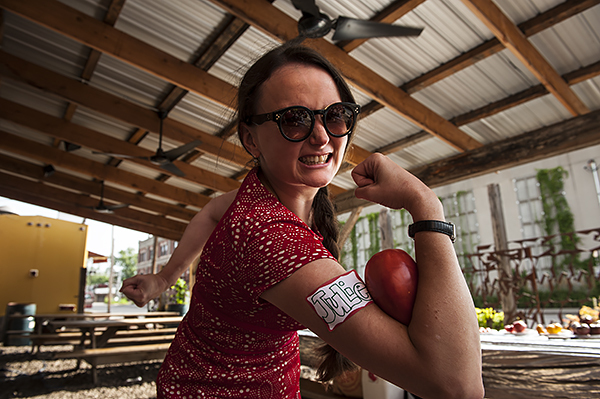 A few die-hard tomato fans turned up last night at Jasper‘s for the annual tomato dinner on Friday evening. Mark your calendars and make your reservations early because, dear reader, it was an amazing feast not to be missed. Homemade mozzarella made fresh at the table. The highlight of the evening was a delicious tomato cake! 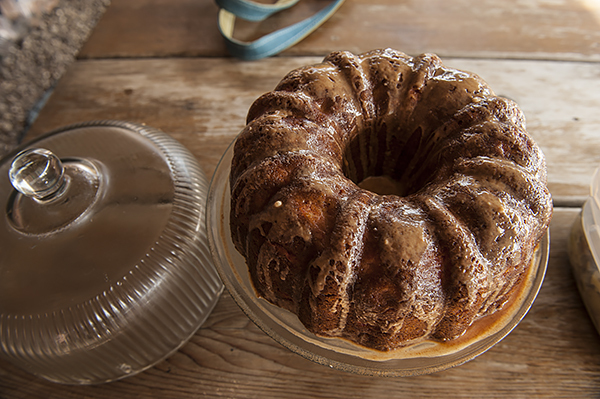 Inspired by the amazing tomato cake at Jasper’s the masterful chef and gardener Linda McCay made a tomato spice cake of her own. Yum! This entry was posted on Saturday, July 25th, 2015 at 5:36 pm. It is filed under Event, Latest Posts. You can follow any responses to this entry through the RSS 2.0 feed.